We’ve nailed our collective pants to our chairs, but they keep flying off when we look at the first image from Oceanhorn: Monster of Uncharted Seas. Finnish developer Cornfox & Bros describes it as a Zelda-‘inspired’ action adventure game that seeks to put the focus on puzzles and exploration instead of RPG sub-systems and menus. It’s also gorgeous — like, your-pants-will-pop-off kind of gorgeous. The name of the game is derived from the fiction’s ancient sea monster who “terrorizes" the World of Uncharted Seas. You’ll play as a “nameless hero" tasked with killing this monster and saving his sister. In order to accomplish these things, you’ll need to explore the world in boat and on foot, and undoubtedly plunge into some puzzle-y areas filled with treasure. 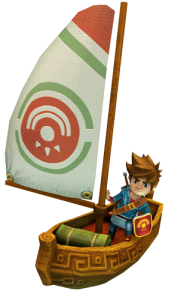 We don’t know about you, but we can’t help thinking about Wind Waker whenever we look at the art and consider Cornfox & Bros’s pitch for Oceanhorn. Bring it on, we say, because the world needs more of these games. UI and effects not final or missing, FYI. 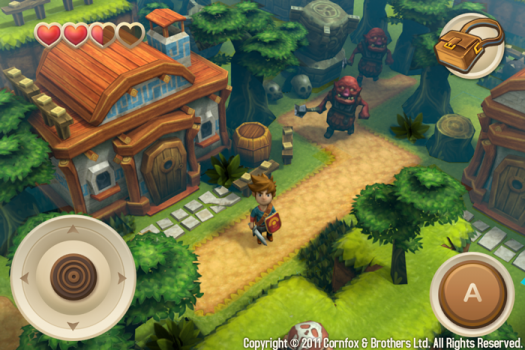 Cornfox & Bros, one of the gaggle of developers responsible for Death Rally if you didn’t know, is expecting Oceanhorn to hit at some point in 2012. This reveal first appeared to our forums and the studio says it’ll continue updating its thread as it reveals new information. There’s also a blog, too, which is revealing some other cool mechanics. 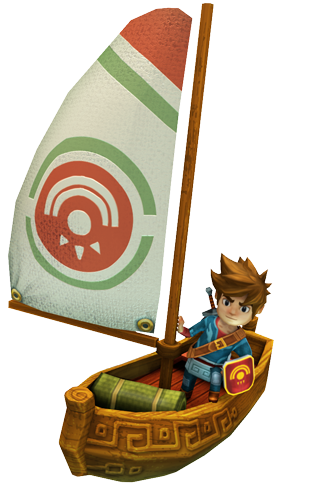 For example, apparently Oceanhorn can attack “at any time" while you’re sailing the high seas in your upgradeable boat. So excited!